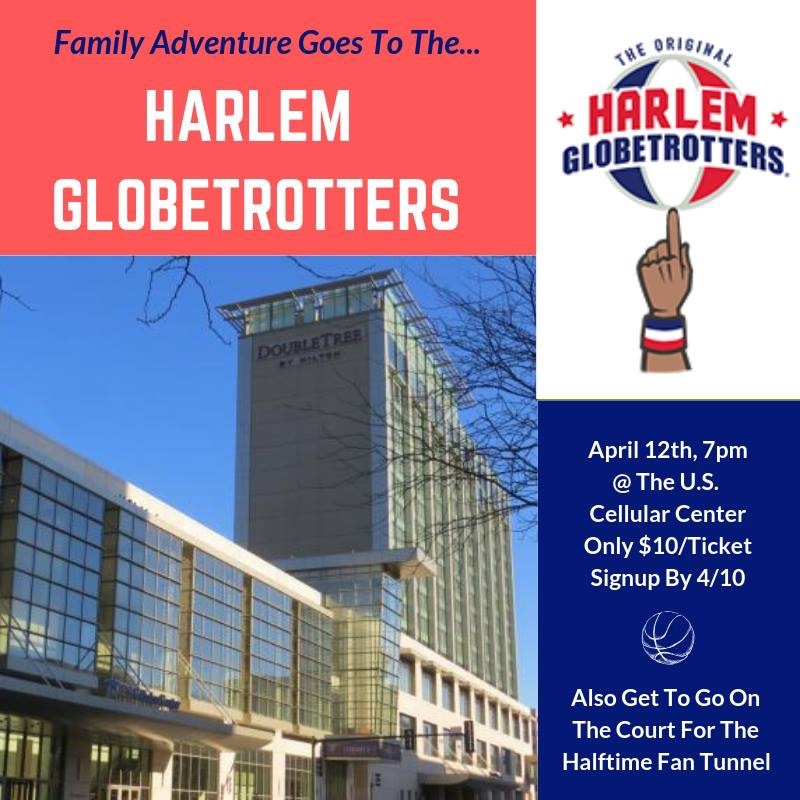 Not only do we get to look forward to the coming Spring, April will also be Family Adventure’s outing to see the Harlem Globetrotters! Join us on April 12th, with the game starting at 7pm in the U.S. Cellular Center! Want to go? Each ticket is only $10 a person, and includes going down on the court to high-five the Globetrotters coming back out after the halftime intermission. If your planning on making it out, please RSVP by April 10th with Kyle French and payment can be collected at the time of the event.